Mechanical breakdown insurance and assistance. Carventura has subscribed to a collective insurance contract with Icare Insurance against the risk of mechanical breakdowns and supply of breakdown assistance. Before the sale, the seller must make his car eligible for the Warranty, presenting it to our experts for inspection. During the transaction, the buyer subscribes to the Icare Insurance contract, and Carventura pays the cost. All essential parts are covered(1) to the mobility of the car, such as : the engine, the mechanical gearbox, the turbo, the fuel supply, the radiators, the steering, the electronic boxes. The vehicle must be a passenger car(3), registered in France, under 15 years of age, less than 200 000 km, and inspected by the Carventura car expert. The warranty is activated(4), the day of the transaction for a period of 6 months. No hidden costs, all repair costs are paid by the insurer(5). (1) According to Icare Assurance general terms and conditions / (2) According to the general terms and conditions of Icare Assurance / (3) Except: electric motorization, DIN 265 hp power, Lotus, Caterham and Donkervoort brands / (4) Subject to acceptance by Icare Insurance within 24 business hours of the transaction, and after the eventual manufacturer's warranty / (5) Except in the event of a loss abroad. How to make the car eligible for the Warranty? The car is inspected by an expert who must classify it in one of the following three categories: Convenient, Selection or Premium. The insurance is paid by Carventura. 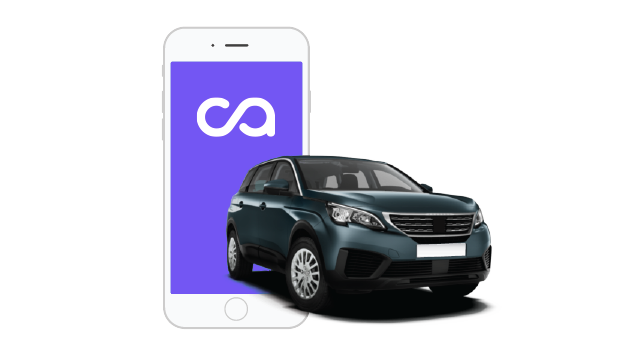 An information notice, including the main features of the Warranty including the assistance, will be transmitted to the seller and the buyer after their registration on the Carventura website. All internal components and parts of the block and the cylinder head, as well as: pistons, segments, piston pins, connecting rods, cylinder blocks, sleeves, rocker cover, cylinder head, cylinder head gasket, internal joints and braids, cams, pushers, valves and valve guides, crankshaft, crankshaft bearings, bearings, oil pump, phase variator, exhaust manifold, distribution and accessories: chain, sprockets, pulleys and belts ), flywheel excluding the clutch, the vacuum pump. Calorstat, water pump, coolant radiator, engine oil radiator, fan motor. The following internal parts and components: timing rings, shafts, shafts of gears, gears, gears, gears, seals, internal bearings, differential gearbox, transfer case and gearbox 4 x 4. Bands and discs, hydraulic valve housing, transmission torque, torque converter, oil pump and seals, seals, valves and valves, differential case, box cooling system, controlled mechanical gearbox actuators. air-to-air intercooler, fuel pump and high pressure pump, compressor, turbocharger excluding injectors, ducts and hoses, EGR system and intake manifold. motor and gearbox sensors, alternator and pulley, voltage regulator, starter. All internal parts and components of the bridge: crown, bearings, sprockets, satellites, excluding transmission shafts. The power steering pump, the steering rack. The ingredients necessary for the functioning of the organs and parts repaired, excluding fuel, additives and cleaners..